DUI Crash. 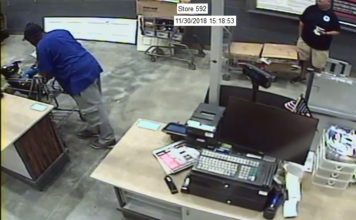 Photo via Cape Coral Police Department. 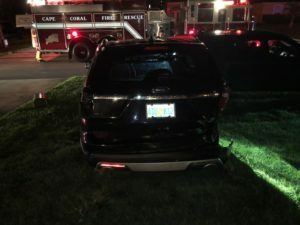 A woman from Cape Coral was arrested Sunday night after she crashed in to two unmarked police vehicles and was cited for a DUI. 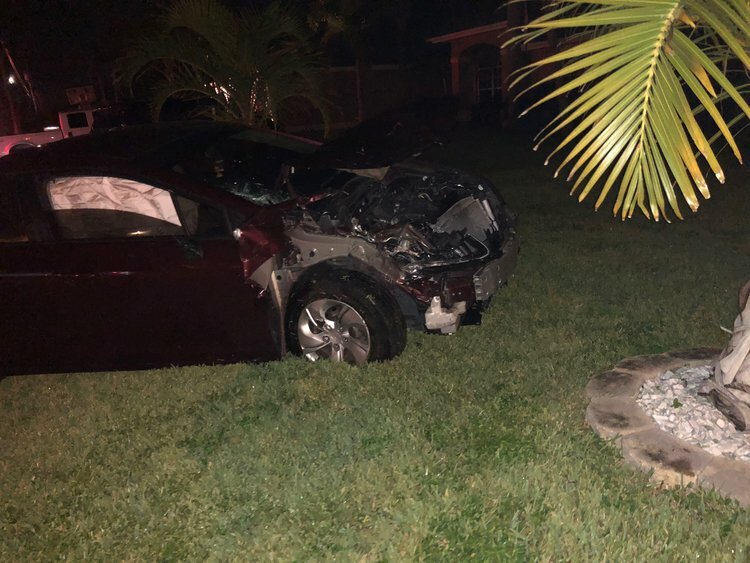 According to Cape Coral Police Department, Maria Magdalena Quinones, 55, was driving when she swerved off the roadway and hit two unmarked police cars that were properly parked in a driveway. The vehicle also hit two mailboxes before it came to rest in a resident’s front yard. Photo via Cape Coral Police Department. 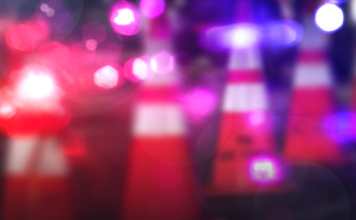 When police approached her vehicle a strong smell of alcohol was coming from Quinones, and she showed signs of being drunk. CCPD said, a DUI investigation was performed and Quinones executed it poorly during the field evaluation. After submitting to a breathe test she was found to have a BAC of 0.154. She was charged with 5 counts of DUI with property damage and a DUI with a BAC over .15.